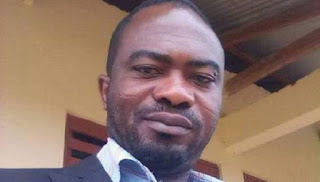 According to what Dawuroo.com gathered from Asikuma-Odoben-Brakwa District Educational Directorate, the headmaster embroiled in the trending $exd video with his former pupil, Mr. Robert Sepey has been sacked. In a delegation led by the District Director of Education, Isaac Godwin Kwasi Acquah-Arhin, a meeting was held between the Headmaster Mr. Robert Sepey, the girl Priscilla Tettey, the parents of the girl and the opinion leaders of Breman Edumanu. At the meeting, a decision was reached that the headmaster has to be relieved from his post while he meets a two-member committee disciplinary committee “for the appropriate disciplinary actions”. 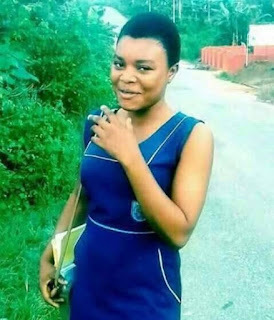 However, the girl in question, who is has been revealed is not the headmaster’s pupil but rather final year student of Odoben Senior High School, Priscilla Tettey confirmed that the Mr. Robert Sepey is her boyfriend he takes care of her.